Alexandria, VA – The National Sheriffs’ Association’s executive committee was honored to meet with President Donald Trump this morning at the White House. 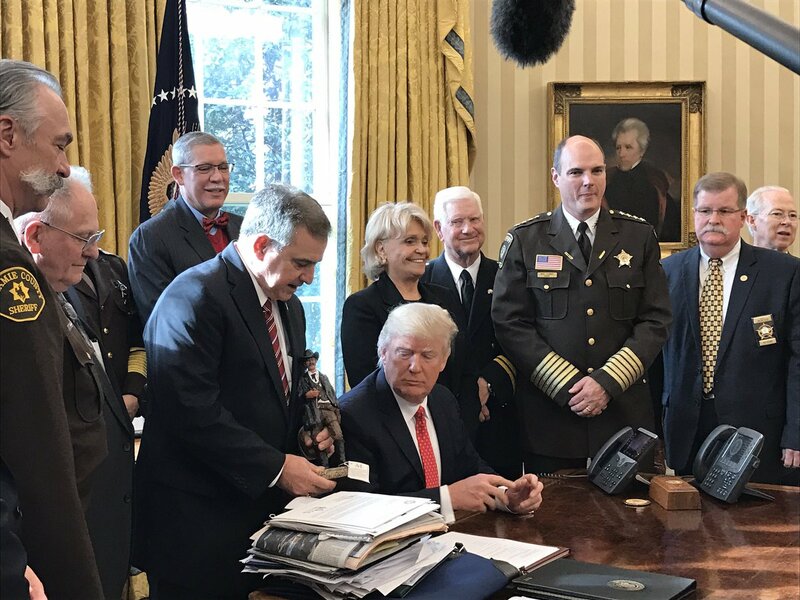 Sheriffs engaged in a productive discussion with the president on immigration and border security and praised the president for his leadership. America’s sheriffs are at the tip of the spear in dealing with border security and are greatly encouraged that much needed solutions to solve illegal immigration challenges are at the top of the agenda. Sheriffs also discussed sentencing reform initiatives, and how best to help the mentally ill resume their lives as productive members of society instead of being incarcerated in our jails and prisons, the heroin epidemic, and providing law enforcement all the tools needed to succeed.